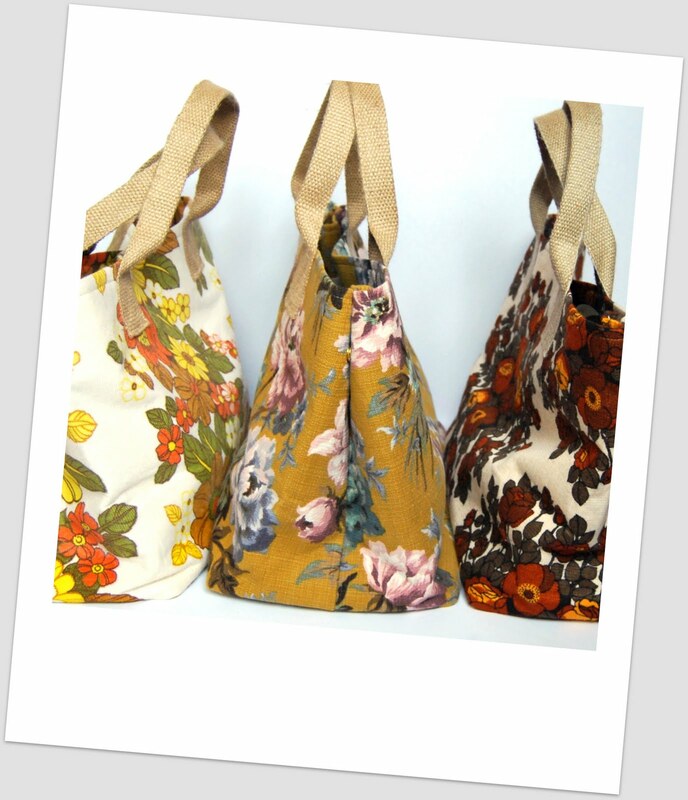 I was really pleased with the way the handles turned out for the range of Lola Expandable Totes. I discovered a roll of jute looking very unloved, a bit dusty and kicked under the haberdashery display rack in the fabric shop - it definitely needed rescuing. 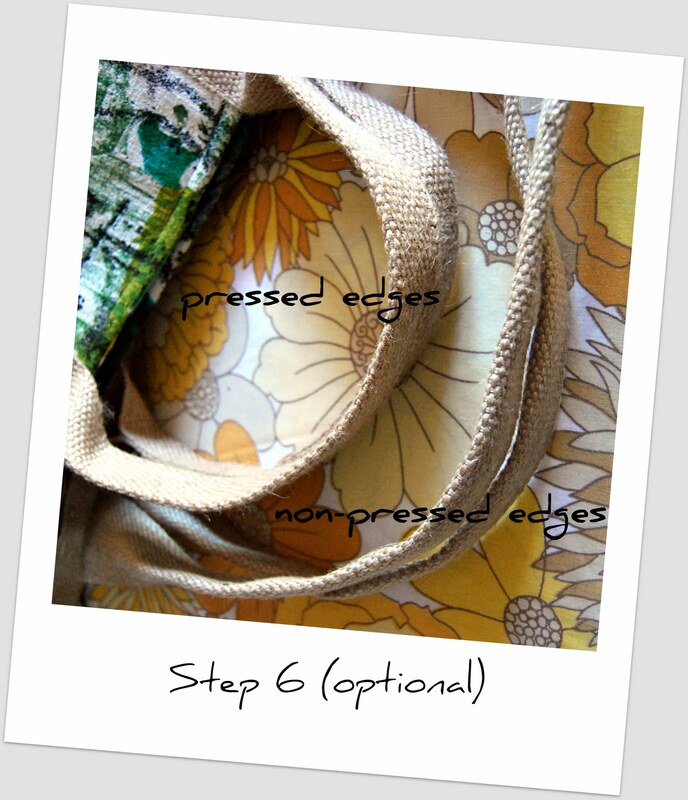 I love the way the rawness of the jute contrasts with the detailed vintage fabrics of the Lola totes, and the natural colour seems to go well with everything. 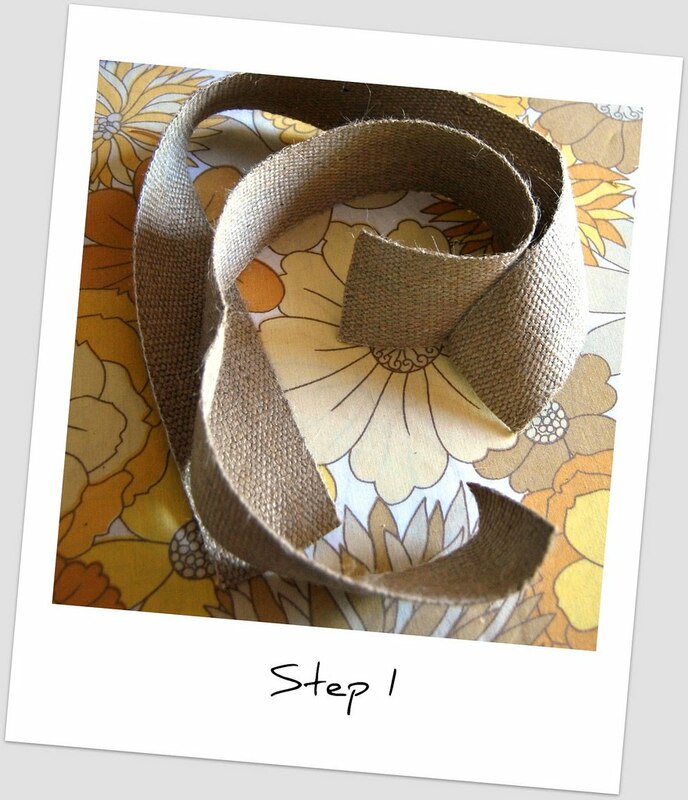 So, in case there are some more unloved rolls of jute in need of a good home out there, I thought I'd spread my new-found love around and show you how I made the handles - it really is super simple. 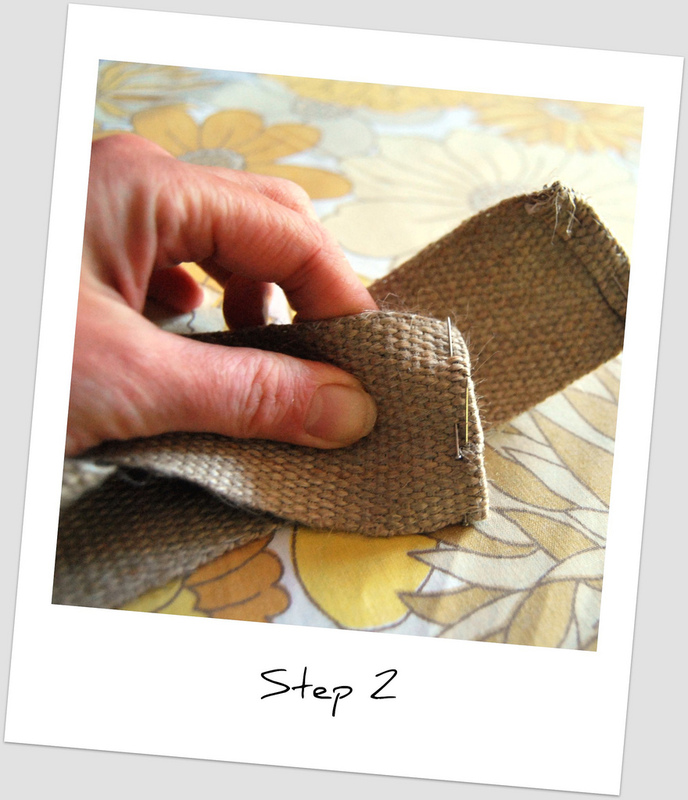 The jute I used was a good 2" (approx 5 cm) wide. This method would also work with other types of tape/webbing (canvas etc). 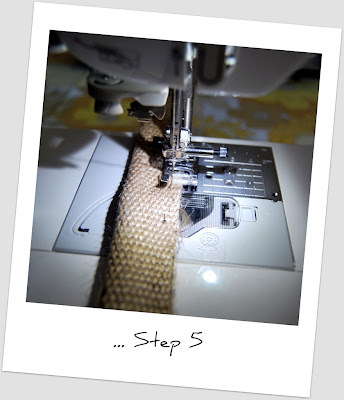 Step 1: Cut your jute webbing to the desired length remembering that you will need around 4" (10cm) at each end for attaching to the bag body. 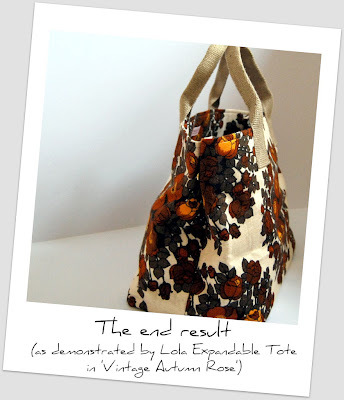 For the Lola tote, I used 22" (56cm) lengths of webbing, which gives a comfortable fit over the shoulder. Step 2: Fold under and pin 1/2" (13mm) on each of the short ends. 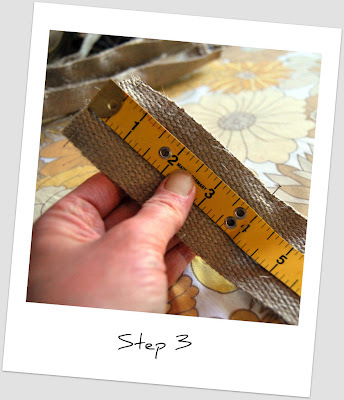 Step 3: Measure 4" (10cm) up from each end and mark with a pin. 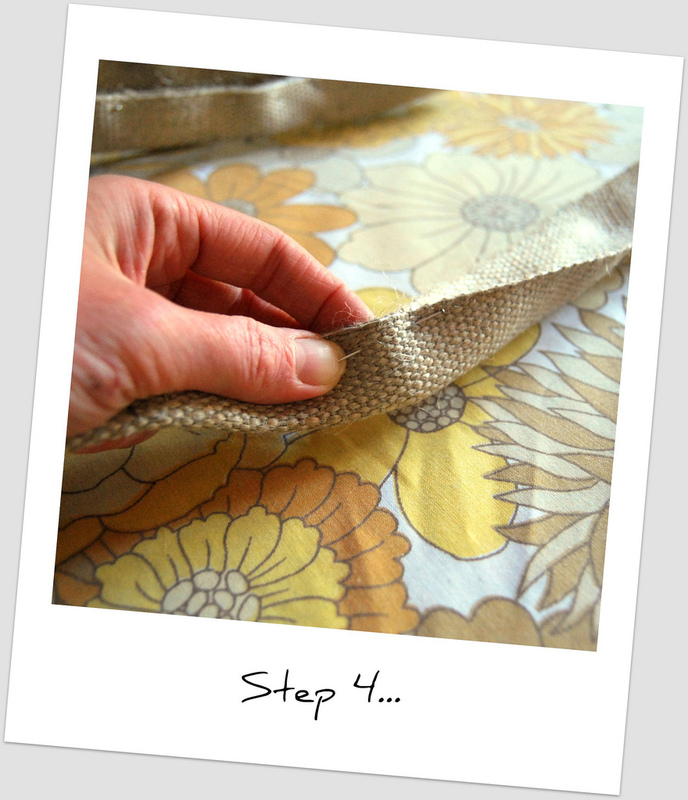 Step 4: Fold the strips in half along the long edges inbetween the 4" markers you've just made, and pin in place. 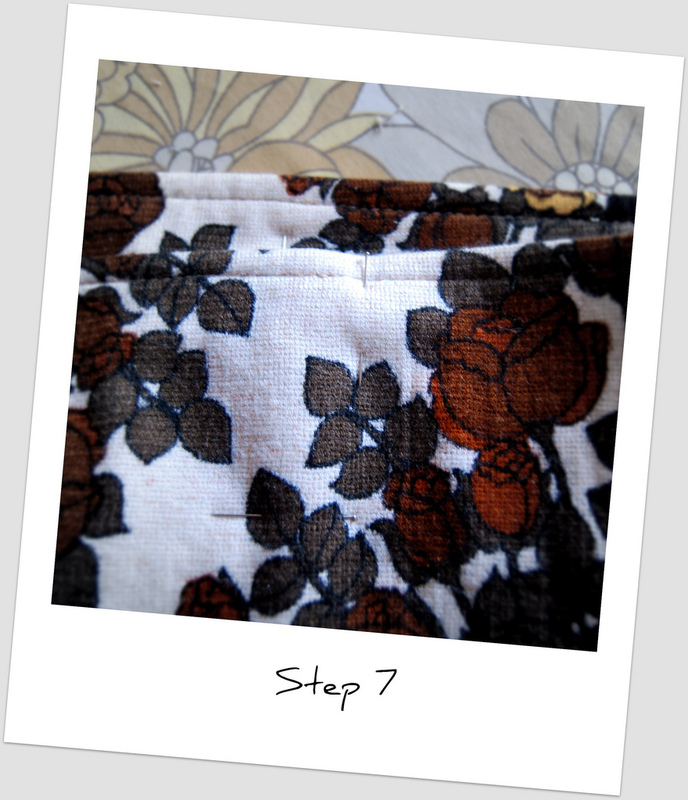 ... then sew along the raw edges of the folded length, in between the 4" markers. Step 6: Depending on the finish you would like, you can now press your handles. Pressing them will create a slightly crisp, sharper looking edge, wereas not pressing them will make them look more rounded - see the difference in the photo below (the handles on the left have been pressed). 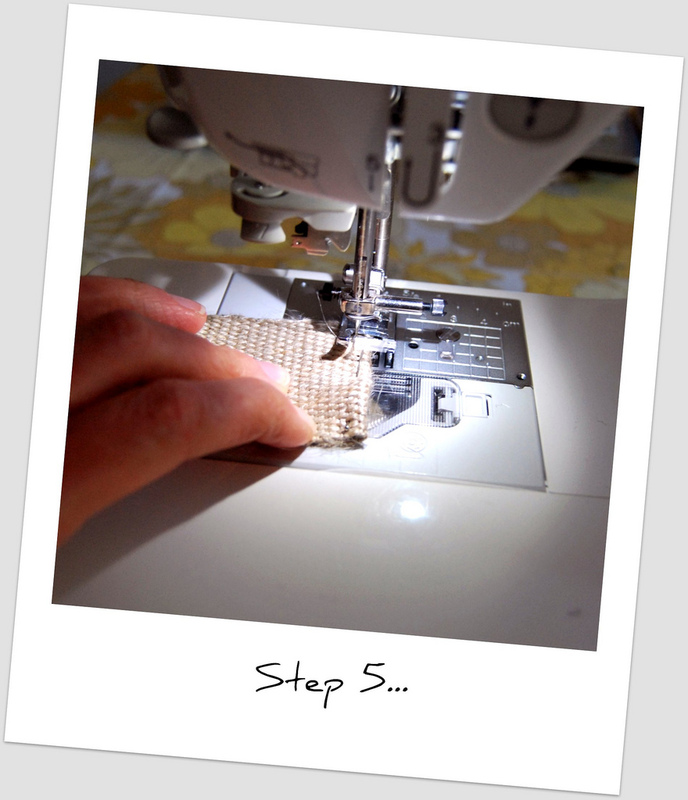 Your handles are now made - see, wasn't that easy! Now we need to attach them to the bag. For the Lola bag, I chose to attach the handles after the bag body was complete. 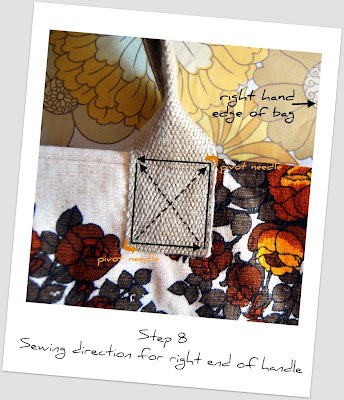 This means that the stitching is visible on the inside of the bag. 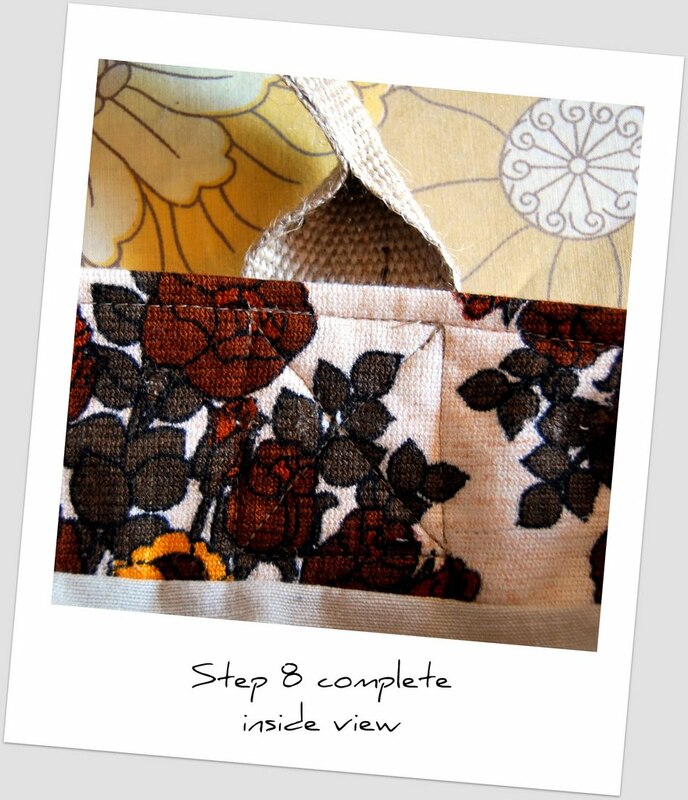 If you would prefer not to see the stitching on the inside, you could attach the handles before you line your bag. Step 7: Mark the placement of your handles on your bag. I like to use pins for this - I use a horizontal pin to mark the position of the bottom edges of the handle and a vertical pin to mark the position of the outer long edges. 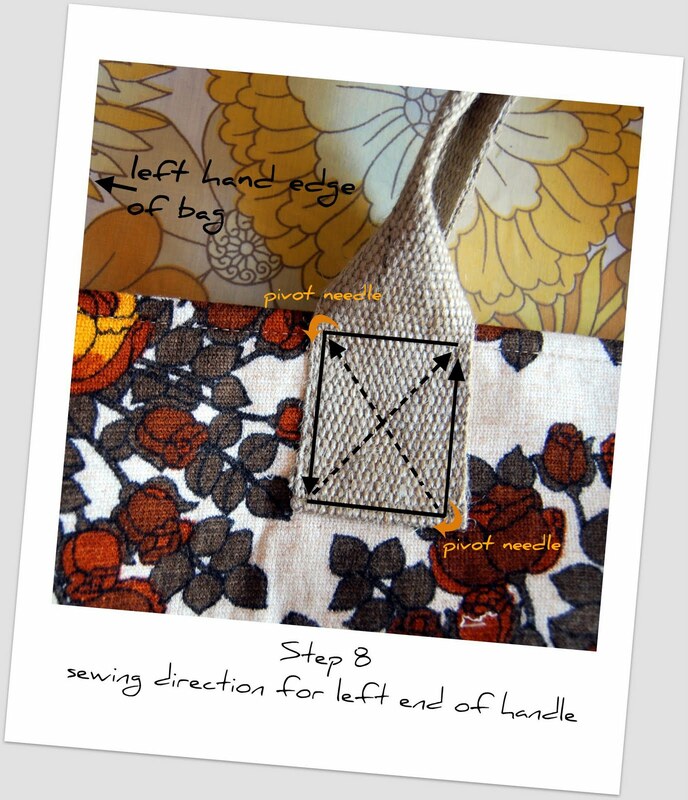 The position you choose will depend on the size of your bag and the width of your handle, but for the Lola bag (which is about 15 3/4“ (40cm) wide), I placed the handles 4" (10cm) from the side edges of the bag, with a gap of about 5 1/2" (14cm) between them. Repeat this for each handle, and there you are - you're all done! To see these handles in action visit my folksy shop at www.madebyloulabelle.folksy.com (prices in UK£) or my etsy shop www.madebyloulabelle.etsy.com (prices in US$). How cool is that?! Great idea too. Sale: Hurray it's Christmas in July! Another contestant for the best tip ever!